Happy Monday, everyone! I hope everyone is doing well. 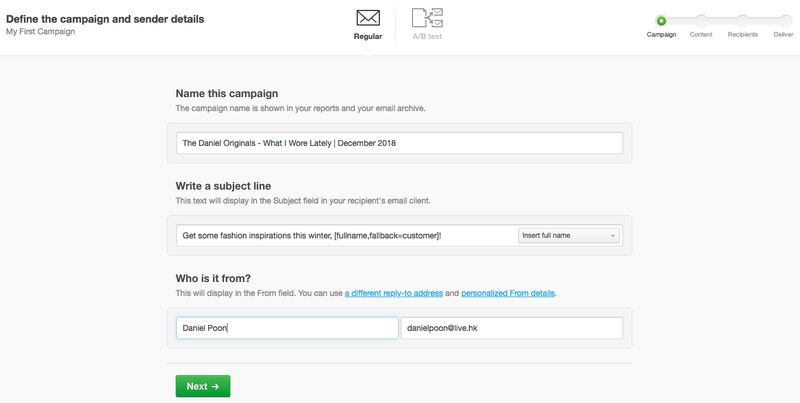 For today's post, I am very excited to work with Campaign Monitor to review their email campaign service. In case you do not know what Campaign Monitor is, it allows you to organise email campaigns to your reader professionally and effectively! The most important and attractive features of Campaign Monitor is that they would provide statistics to analyse the data received. Without further ado, let's me introduce this service and my final thoughts! Firstly, you can choose the plan that is suitable for your company/site. 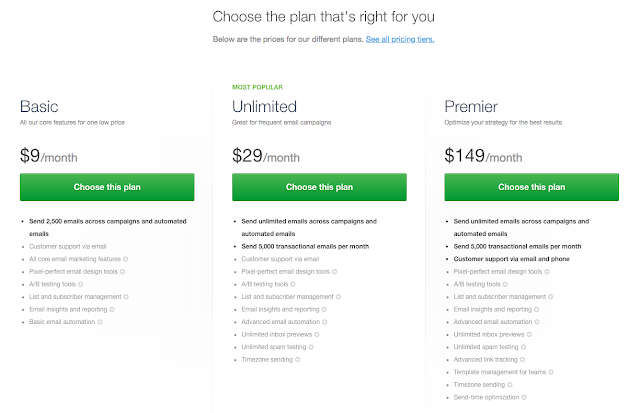 So I chose the Basic plan (which costs US$9 per month). 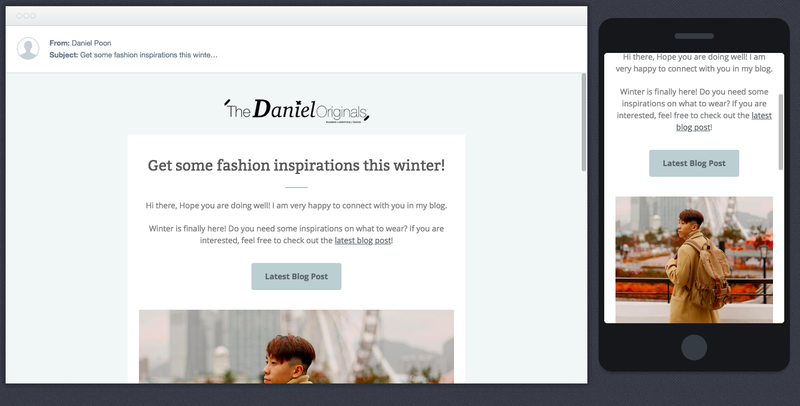 Then you can start creating email campaign and send to your readers and audiences! The first step in creating the campaign is to write the title of the email. Then you can choose the desirable design for your email. So I chose "la beauté" because of its simplicity. 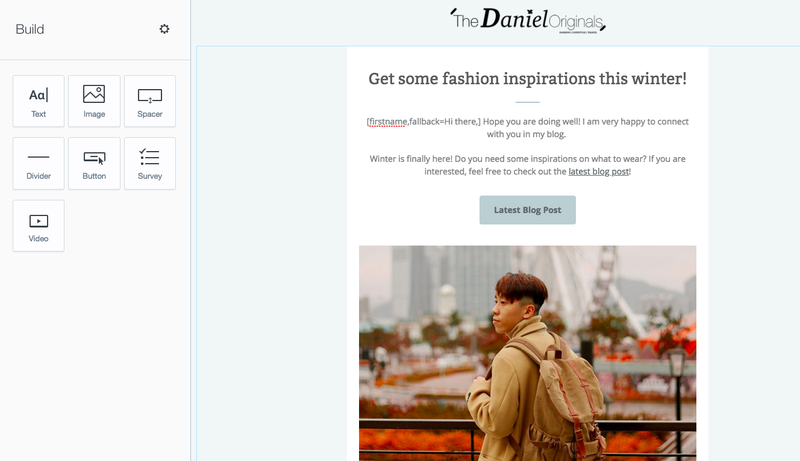 After choosing the design, you can start writing your email and put the pictures on your email. Don't worry if you are afraid you do not know how to design email. Because basically all you need to do is to replace what you want to write on the default. When you finish writing your email campaign, you can finally preview it and send the email to your audiences. After sending the email, you can take a look at the statistics. So this time, I sent this email to 6 of my friends to test the service. 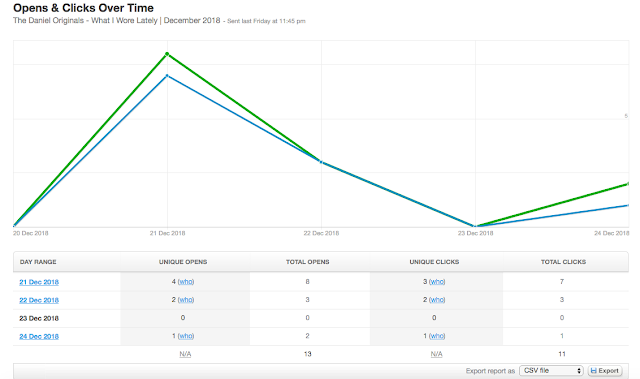 You would instantly know who and how many users actually open the email in real-time. 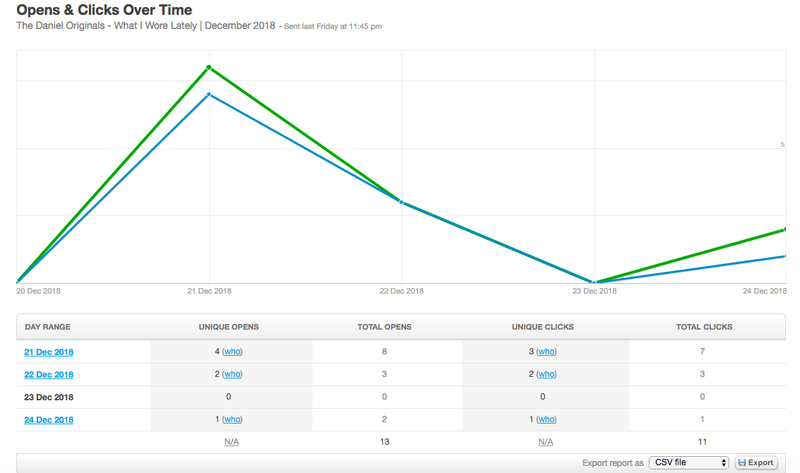 And of course, more importantly, who actually click the links inside the email and which links are the most popular, whether they have share the email to their friends, which email clients are being used could also be analysed in Campaign Monitor. Overall speaking, I am very satisfied with the service of Campaign Monitor. It is suitable for all types of people, whether you are familiar with design/ have computer skills or not. All you have to do is to follow all the steps on by one. So it is very easy and simple, nothing complicated. 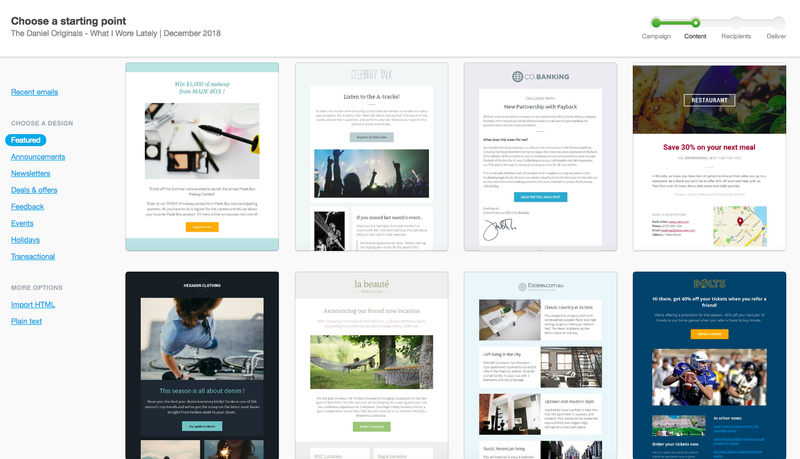 I also love how Campaign Monitor would provide wide range of designs you could choose for your email campaign. Lastly, the most vital is the statistics analysis function of Campaign Monitor. You can use the data to find out what your readers and audiences actually want and then use the data to improve your company/site. Therefore, I highly suggest you guys to try Campaign Monitor if you are interested in using similar services! *This post is sponsored by Campaign Monitor. This is so interesting; thanks for all of the info! Merry Christmas!